“The Defenders,” an eight-episode miniseries starring characters from four other Marvel Comics stories that stream in Netflix, recently dropped on the live streaming service. The characters include Daredevil, Lucas Cage, Jessica Jones, and the Iron Fist. The four superheroes, who concentrate on fighting threats to their home in New York, combine forces to fight a common enemy called the Hand. Netflix is using “The Defenders” to gather data on its audience, based on the fact that it is a spinoff of four different shows, according to Wired. The live streaming service uses audience data, which it generally keeps confidential, to determine future programming, among other things. 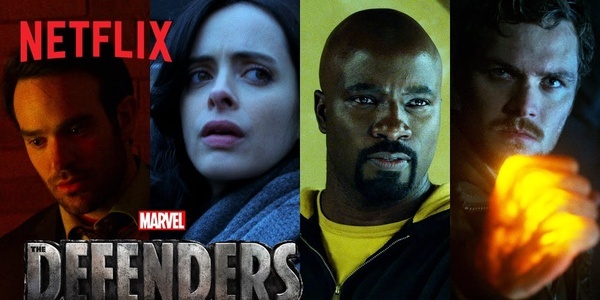 Each of the separate shows that Netflix runs featuring characters in “The Defenders” have separate fan bases. Female viewers tend to like “Jessica Jones’ because it features a strong, female character. African Americans can relate to “Lucas Cage” because of the main character’s ethnic background and experiences. The question that Netflix is trying to answer is which other shows on the live streaming service will fans of a show such as “The Defenders” like. While viewers of Netflix pay the same subscription fee whether they follow one show or a dozen, they will tend to stay with the service the more shows they like to watch. One of the ways that Netflix uses this data is to customize the selection screen to push shows that the particular viewer might like based on the results of the research. This arrangement makes it easier for people to find programming that they might like, making it more likely that they’ll stick with the service. Since “The Defenders” has only dropped recently, Netflix has yet to gather enough data to gain an understanding of its audience. The streaming service already knows that most of its subscribers do not follow all four of the Marvel Comics stand-alone shows. However, many follow at least two of them. What happens when one puts the characters together will determine future programming, including more crossover episodes.